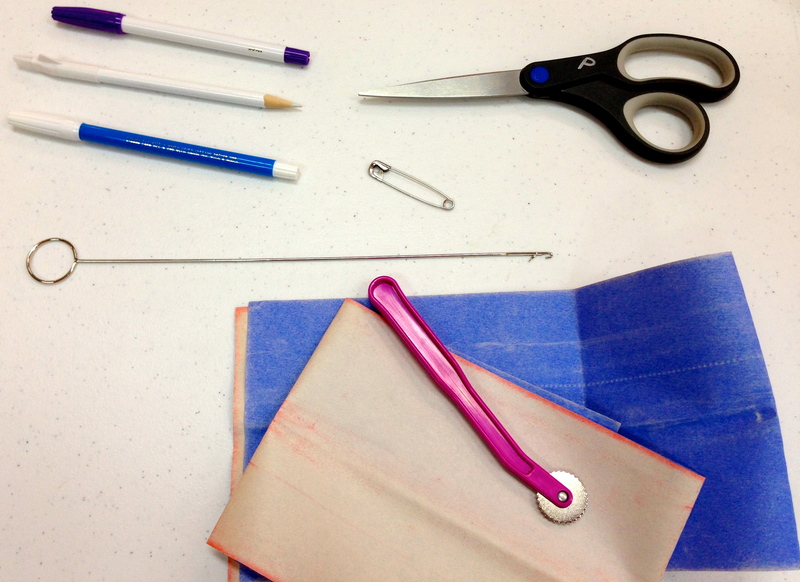 These are the tools we keep at every sewing machine for our students here at Golden Needles Studio. Here at Golden Needles Studio, we have a few items we consider essential for our sewing students. In a plastic bin at each sewing station are the nine items shown here. 1) Tape Measure, for taking body measurements, and for checking the grainline placement of patterns on fabric; 2) Glass-head Pins and Magnetic Holder. We like glass-head pins because they will not melt when using a steam iron to press things that are pinned; 3) Fray Check for sealing the ends of serged seams, and several other handy applications; 4) Glue Stick for holding buttons and other things in place for sewing; 5) Fabric Shears, for cutting fabric only; 6) Small Scissors to use for clipping threads and other small jobs at the sewing machine; 7) Hem Gauge, or seam gauge, to accurately measure seam allowances and hems; 8) Seam Ripper, which is an unfortunate name. It should be called a “seam picker,” because that is what you actually do with it. If you use this tool to quickly rip a seam open, you are very likely to rip fabric and ruin your project. Pick the threads of the seam out with this tool, no matter what you call it; 9) Chop Stick, which is just a handy little tool to have around. We use them for gently turning out corners of pillows, and for holding things in place for pressing to keep fingers away from steam. These tools are kept on a supply shelf for our students. 1) Tracing Paper and Tracing Wheel, which are used to mark placement lines on the wrong side of fabric; 2) Marking Pens and Pencils, for placement markings that fall within the seam allowance. Some disappear with time, and some require water for removal. Marks from chalk pencils easily brush off; 3) Paper-cutting Scissors, for cutting out patterns. We mark ours with a “P,” to keep them far away from the fabric shears; 4) Large Safety Pin, for inserting elastic into a waist casing; 5) Loop Turner, for turning straps right side out. The few times we’ve heard colorful language in class was mostly during this lesson. Still, once you get the hang of it, it’s a handy tool. 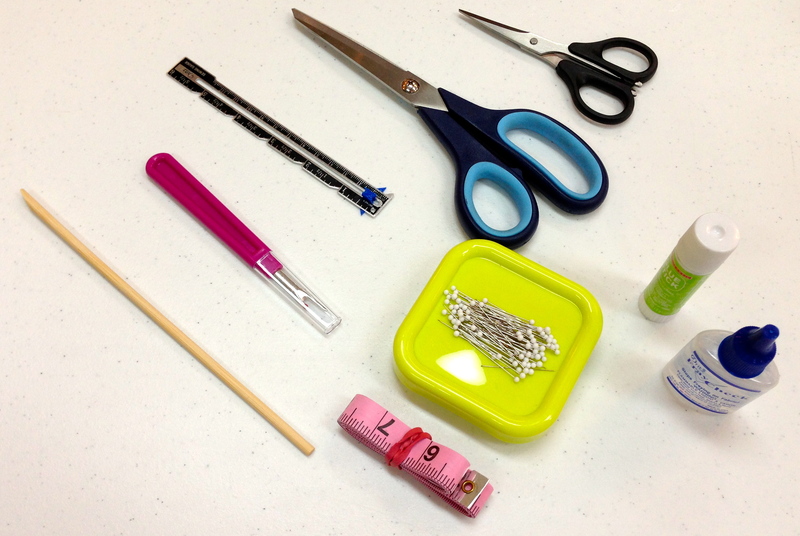 If you are just beginning to learn how to sew, you will really need these essential tools. There are many, many other tools that you will want to add as you need them, but these will get you a long way down the road of learning all the basics. When shopping for sewing tools, keep your eye out for sales. The fabric stores call these items “notions,” which is not really correct. A notion is anything that you actually sew into a project, like thread and zippers and buttons. These are sewing TOOLS. But if they are going to give you 40% off, that’s no time to argue semantics! You can also use store coupons when you need a pricey tool that is not on sale. 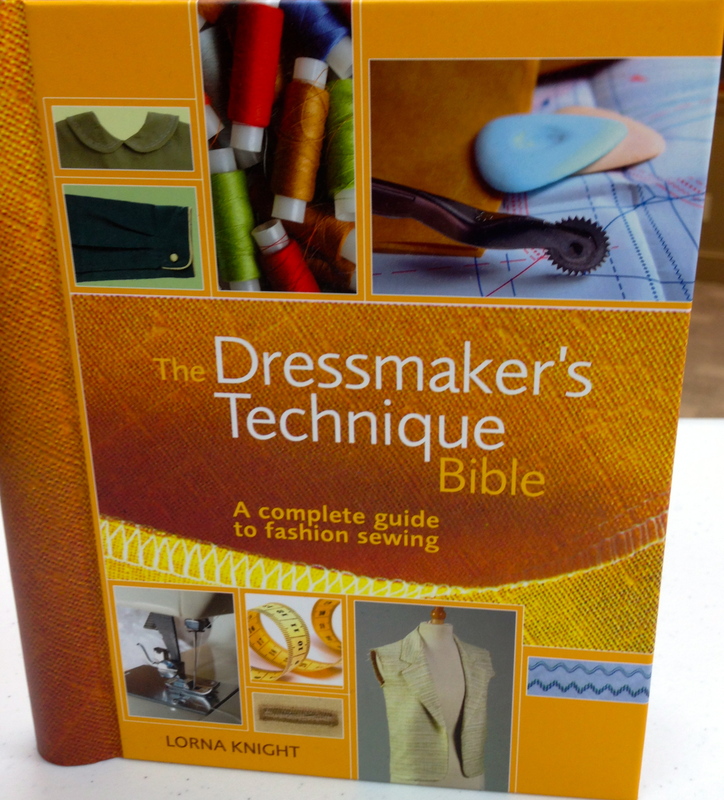 Another nice addition to your sewing room (or corner) is a book such as the one shown below. This one is easy to use, and has lots of photos and illustrations. Of course you can google anything, but I still like to have a reference guide close by. Old school, I know. So, start gathering your tools! Next time, we will talk about fabric qualities and why that matters. A sewing reference guide is handy for looking of sewing terms and procedures.